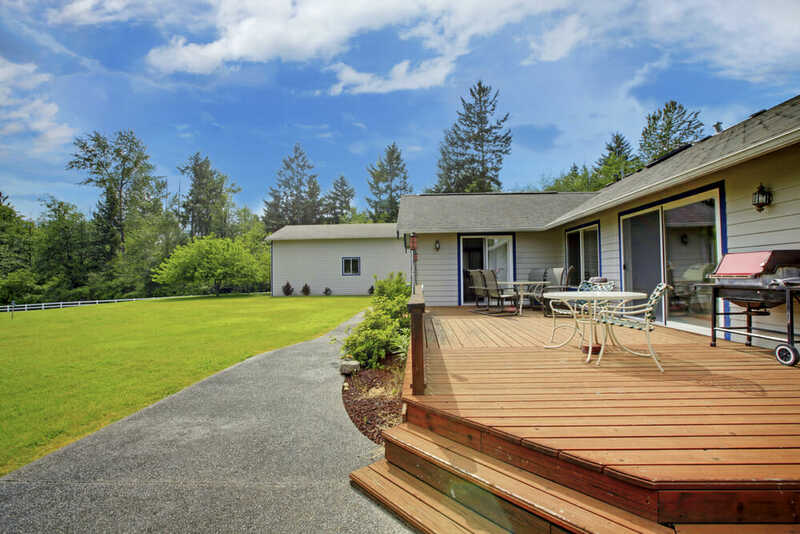 Adding a deck can boost the value of your home as well as increasing the amount of time you’ll spend entertaining friends and neighbors, but it’s hard to see the forest for the trees when choosing which materials to use. We’re here to help with our complete guide to make sure your deck is a hit! Pressure treated timber is one of the most popular materials for modern decking. The process that the timber goes through forces preservative chemicals into the timber to protect it from attack by termites and fungal decay. It will last up to 30 years if maintained properly, requiring yearly washing, sanding, and sealing when finished with a clear sealant. It is widely available and is still one of the cheapest options to finish your deck and despite the treatment it undergoes, the chemicals used are less harmful to the environment than some staining or finishing products on the market. 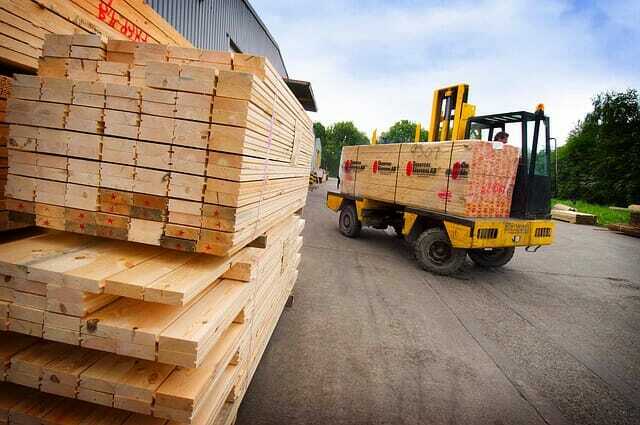 There is a huge range of natural timbers to use which are visually pleasing and very durable when they’re treated right. It is a material that is easy to work with, feels good underfoot and brings nature right to your doorstep. 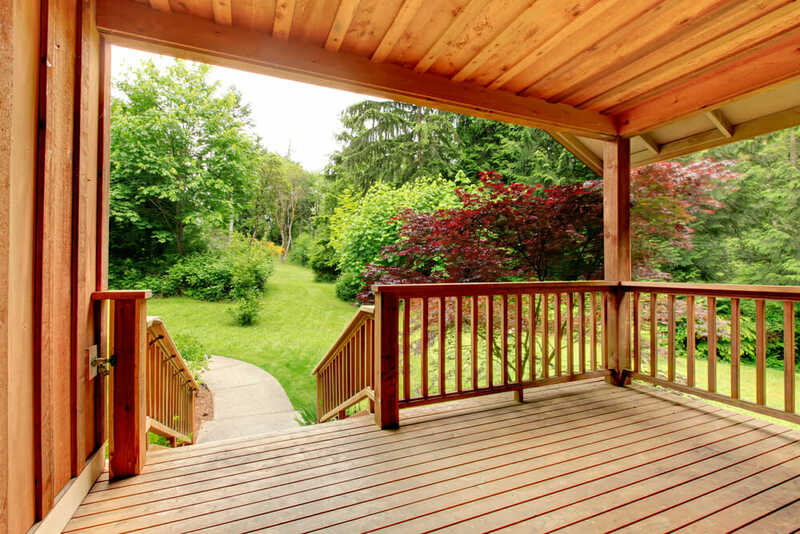 It does require a good clean and re-staining every couple of years to keep it in tip-top shape, especially if you live in cold or wet climates refer to Winterizing Your Deck. Wood like Fiji Mahogany has a very strong color naturally that will shine through with proper maintenance. Tropical hardwoods have naturally beautiful colors and are also more resistant to termites. Fiji Mahogany has great environmental qualities and being plantation grown it is highly sustainable and low impact. If the deck’s purpose is to create an entertainment area around the pool consider teak marine timber. The wood is rot and insect resistant, handles moisture variations with minimal movement, does not need to be treated and remains highly durable. Use recycled timber and give your project distinct character by using quality product but one whose age and former use is still visible. Worn and reworked timber have smooth surfaces and are finished to retain a textured look that is well-applied to decking and boards. It certainly will give you a natural one-off look! You can top it off with sustainable porch furniture. Look for a distributor who can provide a product with FSC Recycled chain of custody certification, Manufacturers who meet the sustainable criteria established by the Forest Stewardship Council are the safest bet. Manufactured from a combination of recycled plastics and reclaimed wood materials. Composite decking not only mimics the grains and colors of traditional timber, its benefits make it a popular alternative to timber decking. Due to advances in technology and experimentation, decking composites can take on the appearance of a wide range of wood styles which gives you a lot more choice with the design of your outdoor space. Composite materials are generally easy to install and can be manufactured with a groove system with special fixings. It is a safe choice for around the spa and pool as it will not splinter and prevents slipping. Large manufacturers of these materials such as Trex and NexGen can offer huge warranties ranging from 10-25 years because of its sturdy nature. A composite alternative is textured composite decking, it is engineered to be smooth on one side and coarse on the other side for ease of installation and reducing slipping. A great innovation that may be just right for your decking project, if you’re building a deck, read this first. These woods already contain defenses in the oils and tannins that naturally occur in the wood making it resistant to rot and insects. The timber has a long lifespan it does, however, requiring re-staining to maintain its magnificent color and because it’s a slightly softer wood it can be damaged by foot traffic. If the wood is taken from the middle of the tree (heartwood) it is harder and is more resistant to decay than its external equivalent. The better the quality of the wood, the more expensive it will be. It is a great investment that provides the traditional wood deck with minimal care. Synthetic decking materials like plastics are completely splinter free and almost maintenance free. If the deck’s purpose is for outdoor entertainment it is a good choice as the material is engineered to withstand a lot of foot traffic. Although it can look like wood it often doesn’t feel or sound like wood. Synthetics will give you a neat uniform look and the panels will move with changes in temperature to accommodate but the installation process of fastenings is complex. Synthetic material designs include non-slip and drainage systems so your deck will stay dry in all weather with no staining or sealing. They come in a huge range of colors that may fool your guests into thinking it’s real wood. This guest post was provided by Claudia Beck written with the kind help of the team at Austim. Claudia is an Interior design consultant based in Perth, Australia.